The governor sent a commissioner to represent him before the committee and deny all the allegations. 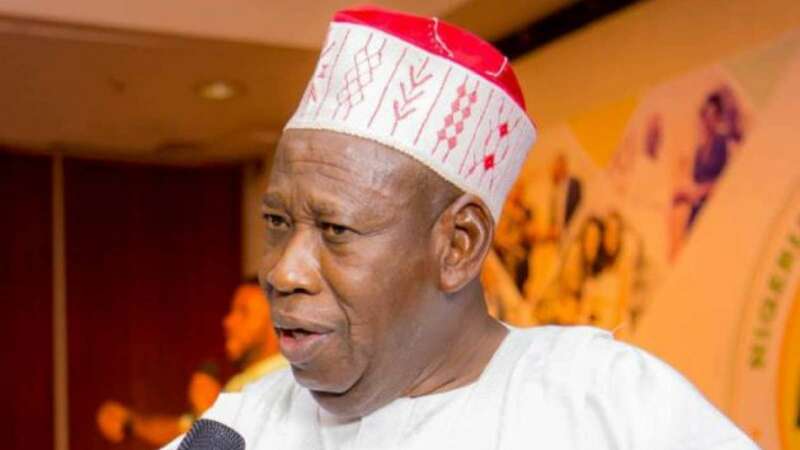 Kano State governor, Umar Ganduje, failed to show up before a panel of the Kano State House of Assembly that is probing allegations of receiving bribes levelled against him. The governor has been in the news over the past couple of weeks after the publisher of Daily Nigerian, Ja&apos;afar Ja&apos;afar, alleged that he regularly received bribes from contractors handling projects in the state. In a series of videos in Ja&apos;afar&apos;s possession, the governor was alleged to have received a total of $5 million in installments from a certain contrator on several occasions. Four different video clips have gone viral on social media showing the governor accepting bundles of dollar notes from a yet-to-be-identified contractor. In the wake of the scandal, the House had established a seven-man committee to investigate the allegations. In a letter dated October 31, 2018, the committee extended an invitation to the governor to present his response to the allegations. Even though the governor was directed to show up before the committee at 10 am on Friday, November 2, he sent the state&apos;s Commissioner for Information, Mohammed Garba, to represent him. While addressing the committee, Garba said the allegations against the governor are false. He also dismissed the videos as doctored. When Ja&apos;afar appeared before the same committee on October 25, he insisted that the videos are not doctored like Governor Ganduje has claimed. He said the sting operation was conducted after a contractor friend of his complained that the governor had been receiving bribes, ranging from 15% to 25%, for every project executed in the state from contractors. He revealed that spy cameras were planted in the contractor&apos;s kaftan lapel to catch the governor in the act. Of the 15 clips he said were recorded during the operation, nine fully showed the governor&apos;s face, body and hands collecting bundles of dollars. He said the videos that have been published, two at the time, were certified to be genuine by Daily Nigerian&apos;s in-house technical expert, the editor-in-chief and editorial adviser, as well as experts from Amnesty International Nigeria, BBC and Premium Times who have also watched the clips. Governor Ganduje has maintained his innocence, claiming that the videos have been doctored by his political opponents to tarnish his reputation. He has also threatened to sue Ja&apos;afar for defaming his character.